I love ice cream and stretching experiences related to eating this wonderful dessert becomes an appetizing adventure. Snow Creme serves cold treats that I just had to try. It’s much like the Korean dessert, Bingsu, and Taiwanese dessert, Baobing, that are both finely shaved ice with sweet toppings. Here at Snow Creme, they have flavored ice blocks. This goes through their ice shaving machine and produces the base of their dessert that has a texture comparable to ice cream. They call this snow ice. This has mango flavored snow ice base with sweet mangoes, milk pudding, condensed milk and mango syrup. This is the number one cold treat here in Snow Creme. It has a sweet tropical feel. If you love mangoes, this will surely make you smile. 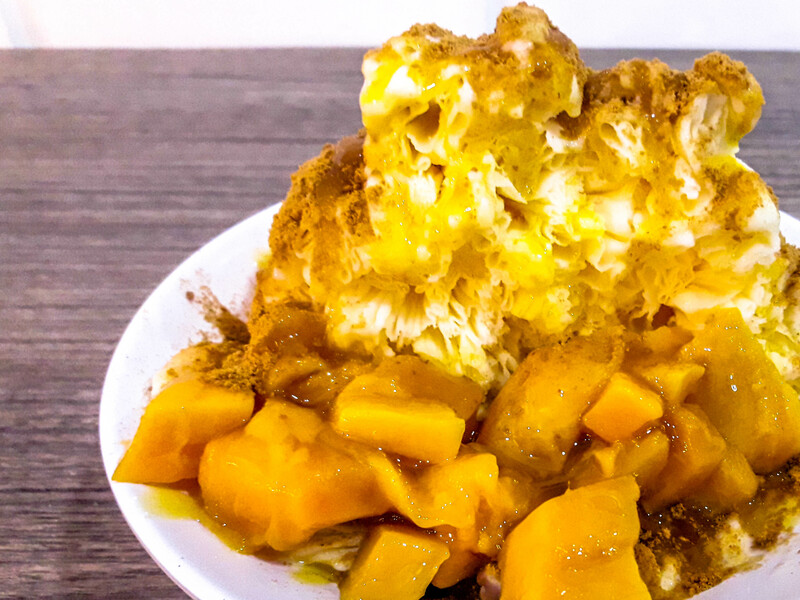 After all, the sweetest mangoes are found in the Philippines. 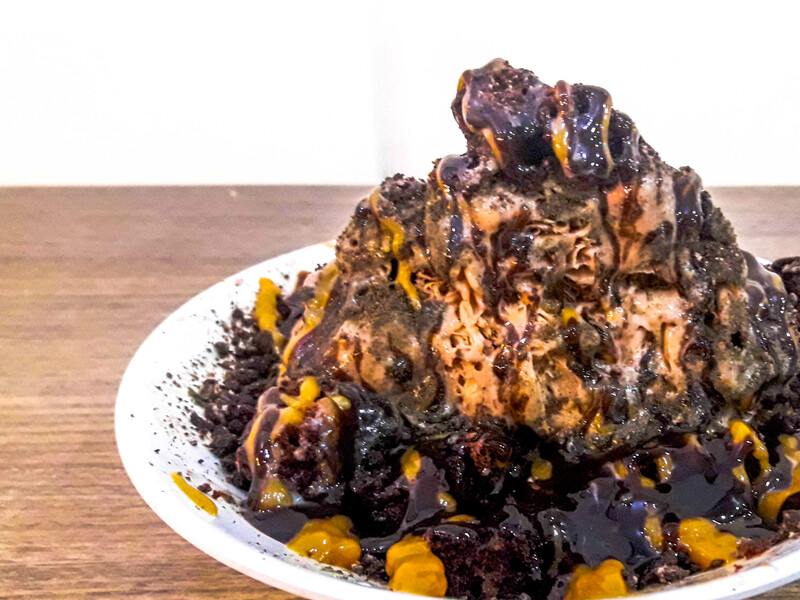 This has a chocolate snow ice base with crushed chocolate cookies, brownies, caramel syrup, chocolate syrup and condensed milk. It’s like chocolate ice cream with chocolate cookies and brownies. Awesome treat for chocolate lovers. The snow ice base was cheese flavored. 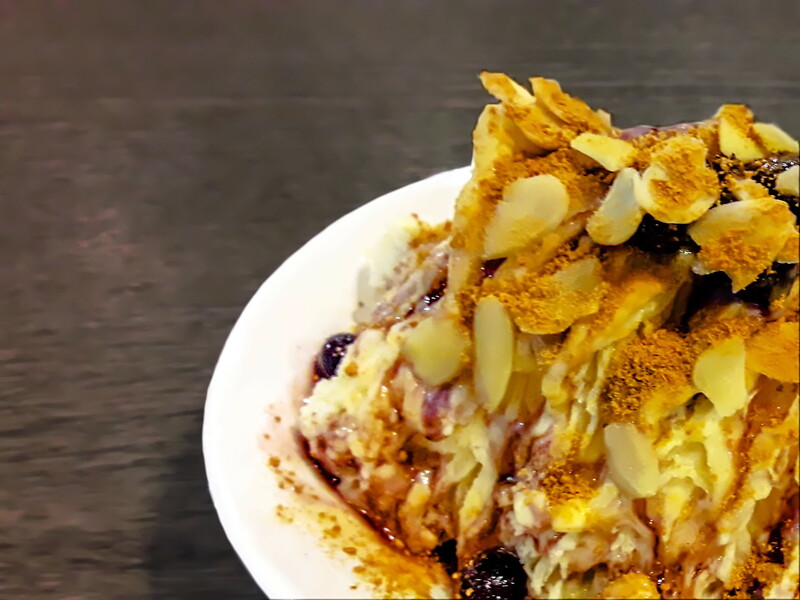 It’s served with blueberry fruits, blueberry syrup, condensed milk, crushed graham, and almonds on top. It tastes just like blueberry cheesecake. It’s mango cheesecake turned into a cold treat. 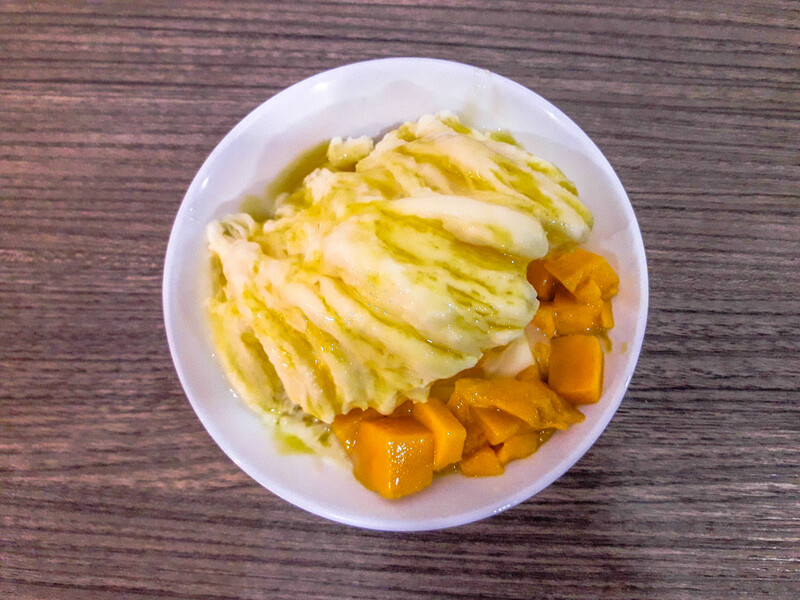 It has cheese flavored snow ice base with mango fruits, crushed graham, condensed milk and mango syrup. You can also create your own dessert and choose from the flavored ice blocks and toppings. 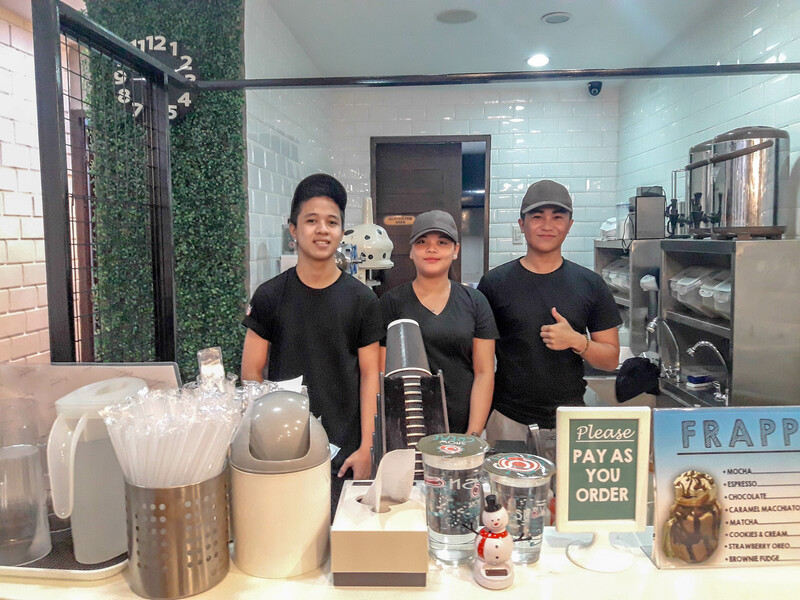 Snow Creme also serves milk tea, smoothies, and snacks.